Last Wednesday was National Read Aloud Day. I’m sorry I missed it. March 4 in Arkansas was the day of 40 inches of rain followed by a sno-nami. Like many others I let my focus on the weather make me forget more important things — like reading aloud. 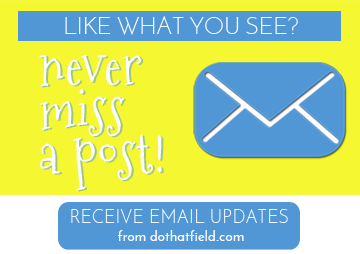 I honed my read-aloud skills when I was a child reading the newspaper to my grandfather, who was blind. I still read out loud — scripts when I’m learning lines, poetry often, a story or essay as I edit or critique. In the past, I frequently read aloud to my children and grandchildren. And to other children — in Sunday School, Kindergarten, Day Care, Mothers Day Out, Vacation Bible School. In her day, Miss Dot did a killer circle time. I really enjoy read-aloud picture books, especially when there is an audience of 2-4 year olds to listen. Recently I came across several I had kept through the years. Goodnight Moon and Poky Little Puppy and another that might not be as familiar. 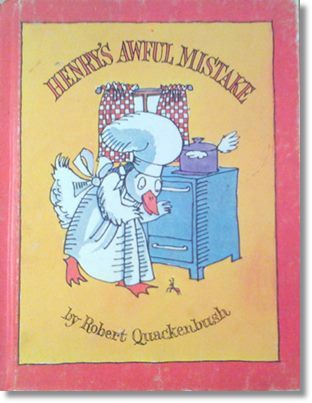 Henry’s Awful Mistake by Robert Quackenbush was published in 1981 by Parents Magazine Press and I don’t remember where I bought it sometime in the 90s. But it’s a wonderful read-aloud book. Henry is a duck who sees an ant in his kitchen while he is preparing supper. He doesn’t want to spray around the food, so he takes after the ant with a frying pan. He proceeds to destroy his house trying to get the little insect. The drawings are delightful, each picture featuring a tiny ant hiding somewhere for the child to find. I was interested to see this book listed on Amazon, both new and used. It had 27 reviews: 20 positive and the others criticizing mostly the condition of the book they received. Another favorite I remember is The Broken Vase, circa 1965. Alas, I left my copy at a church where I worked in the 70s. But this book is also listed on Amazon and I fed my sentimentality by ordering a used copy. I should receive it next week. I’m sorry I have forgotten the name of the writer and it was not visible on the website. This is a story about a little girl who throws a temper tantrum and breaks her mother’s favorite vase. Her mother yells, “You did that on purpose!” and the little girl has to admit to herself that yes, she did do it on purpose. There is reconciliation and a happy ending. 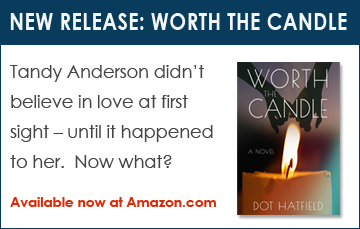 It’s a wonderful story of feelings — anger, repentance, forgiveness and, as I said, reconciliation. Don’t wait for this National Day to roll around again. Open a book and listen to the sound of your voice as you read. I’ve been reading daily Lenten poems aloud–and if the cats enjoy it or not I don’t know and can’t tell. Good idea, reading aloud. I didn’t know there was a “Reading Aloud” day/(week/month). Good post.